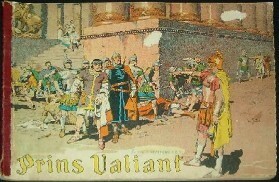 Prince Valiant. Carl Aller. Norway. 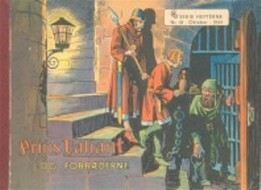 Carl Aller is the oldest publisher in Norway & Denmark. They printed a big serie with all kind of comic heroes. 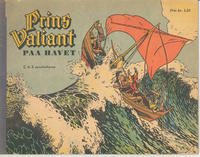 Five (5) of these books were Prins Valiant. 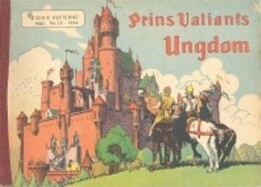 The serie is printed between 1940-58. Books are in full colour. 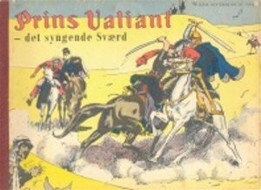 3 : Willy paa Eventyr med "S.M.3"
These are old and expensive books, around 75 Euro for the oldest ones.